Today's article, which is from Digital Photography School, is written by Bruce Wunderlich and provides an easy to follow beginners guide to the various modes available on today's digital cameras. Bruce is from Marietta, Ohio, and he became interested in photography as a teenager in the 1970s, and has been a passionate student of the art ever since. Bruce recently won Photographer’s Choice award at the 2014 Shoot the Hills Photography Competition in the Hocking Hills near Logan, Ohio. When you are setting up your camera to capture an image, there are four basic results to consider: wide depth of field, shallow depth of field, motion blur or freeze motion. How do you know which mode to use to control these basics of photography? Let’s take a look. 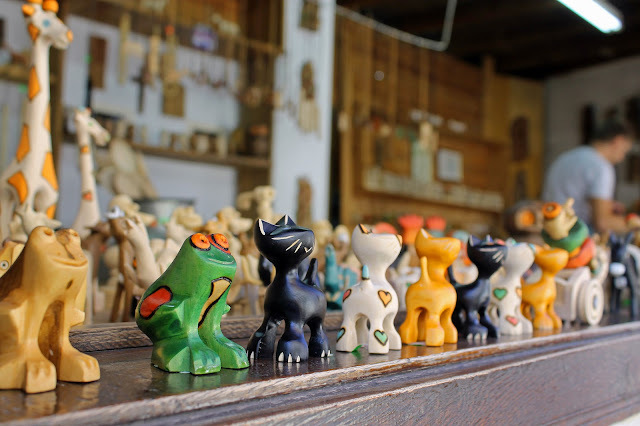 Handmade toys on display in the window of a craft shop in the old centre of Veliko Tarnovo, Bulgaria. The focus is on the green frog with everything else gradually going out of focus. 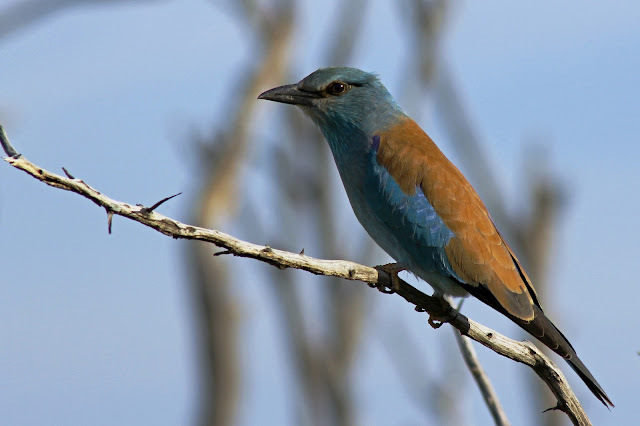 A European Roller in Chobe National Park, Botswana, Africa, with the focus on the bird and branch and the background blurred.